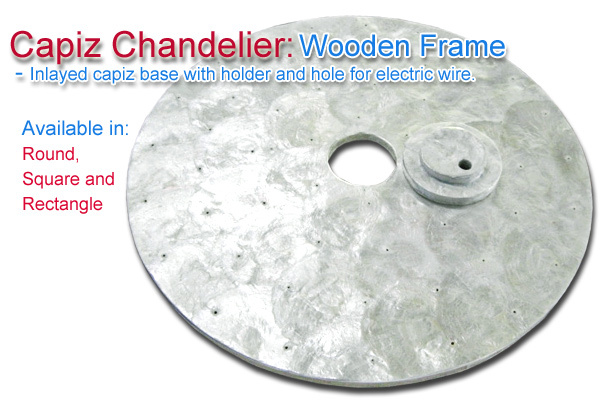 Description:Rectangular wooden base hanging chandelier in round capiz chips with holder and hole for electric wire. 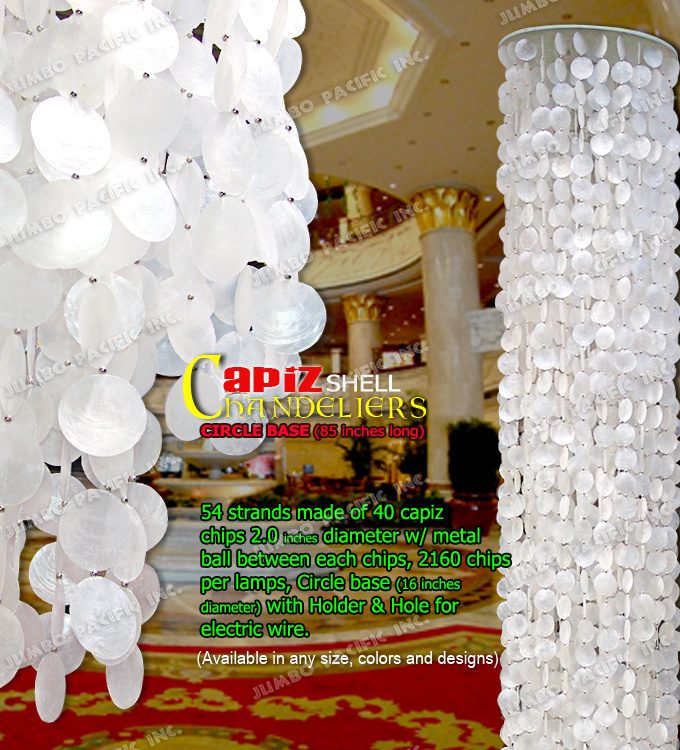 Height:75 inches base to bottom. 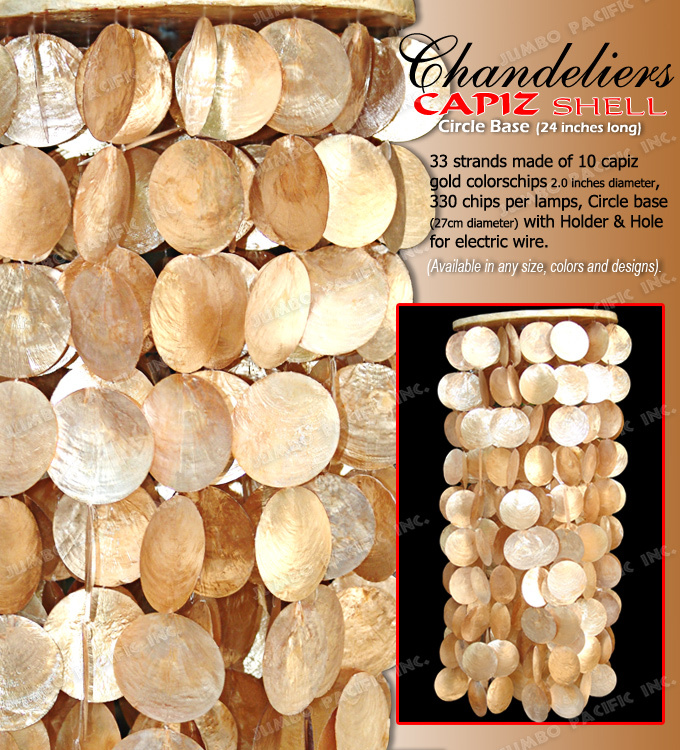 Description:Circle wooden base hanging chandelier in round gold capiz chips with holder and hole for electric wire. 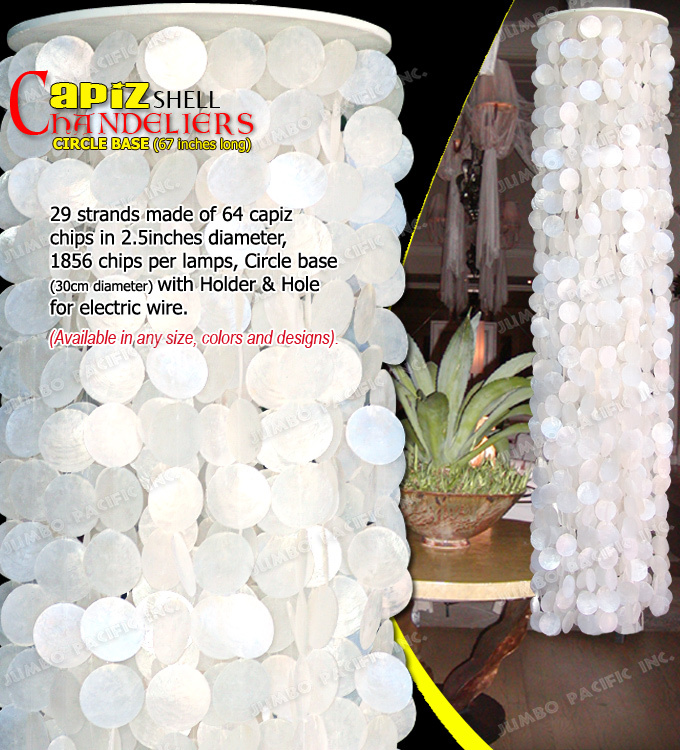 Description:Circle wooden base hanging chandelier in round capiz chips with holder and hole for electric wire. 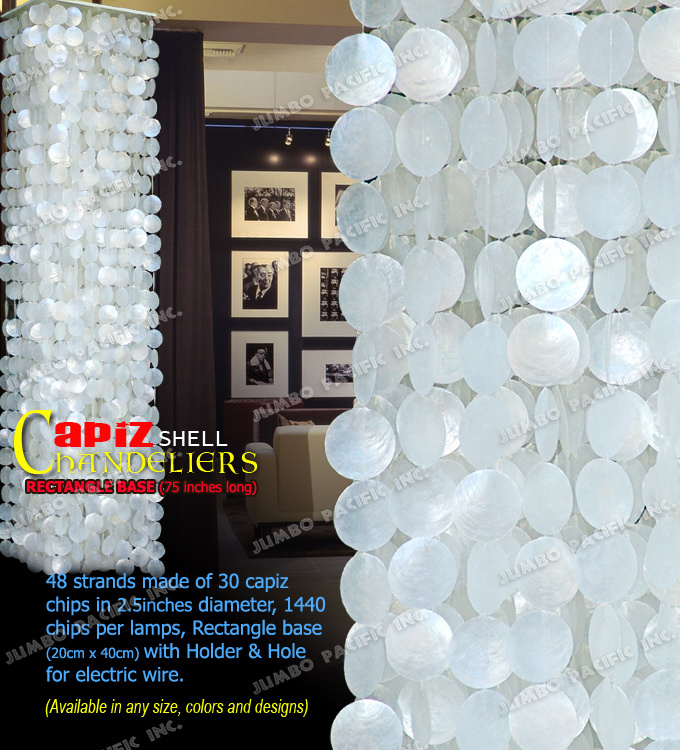 Height:85 inches base to bottom.